Abbee Corb works as a consultant with the law enforcement and intelligence services within Canada and abroad. Abbee provides educational instruction to law enforcement and government agencies around the world She is former university professor. ​She is the North American Director of the Institute for Radicalization and Security Studies, founded in 2013. IIRSS is a global think-tank and consulting firm. She has a PhD in Criminology and bears the designations of CAS and CMAS (Certified Master Anti-Terrorism Specialist). She was bestowed the Honor of Kentucky Colonel for her valuable contribution to the law enforcement community. Abbee has been working in the field of hate and extremism for over 20 years and began her career dealing with Internet-based hatred and right wing extremists. She also worked dealing with Nazi War criminals for almost 10 years. Abbee is a court-qualified expert on hate and extremism, specifically as it applies to the online environment. She has produced three award-winning films dealing with hate crime. 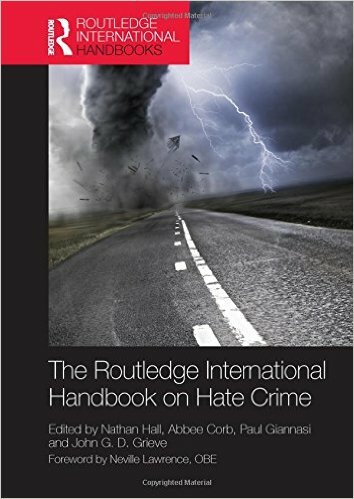 She is a published author and editor with her most recent product being the Routledge International Handbook of Hate Crime. Corb is periodically called upon by the news media and pro-active community-based organizations as a consultant on right-wing extremism. ​Abbee is also an expert on countering violent extremism, exit strategies, radicalization and hate crime.